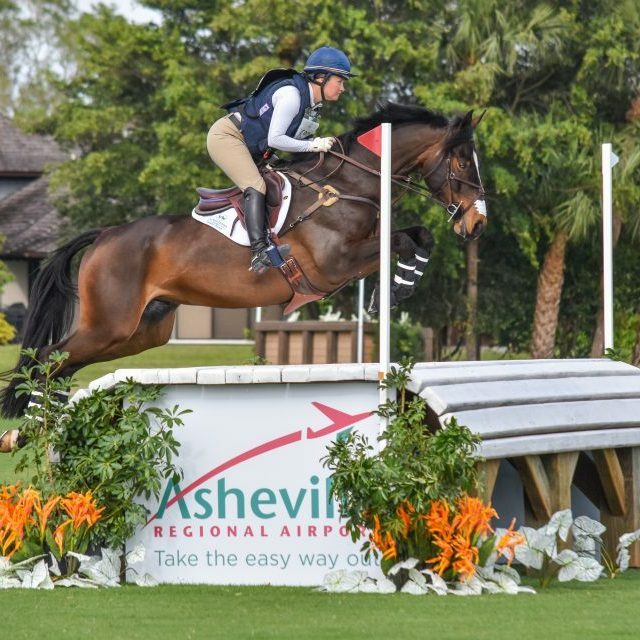 Eventing: it’s a lot of crazy looking fences, jargon, and a sometimes confusing mix of different disciplines. What does it mean? How do you move up the levels? Why does everyone talk about different colored numbers? Wonder no more. I often see people asking on Facebook groups how to know if they’re qualified for a certain level of eventing. I find this is particularly common among hunter/jumpers that are making the transition to eventing. Even as an established eventer, I frequently visit the qualifications page for the United States Eventing Association (USEA) and the Fédération Equestre Internationale (FEI) to make sure that I’m following the rules. Welcome to the beginning of USEA recognized levels! It’s the first level of insanity, to dip your toes in and see how you like it. This level is designed to introduce green horses and riders to eventing to provide an educational and safe experience. Dressage: You must be able to perform a walk, trot, and canter dressage test that contains 20-meter circles (or half circles) and a halt. Comparable to a training level USDF dressage test. Cross Country: Now for the fun stuff! You can see up banks, natural ditches, water crossings, and brush fences at beginner novice. The max height for cross country is 2’7”, with brush fences up to 3’3”. Expect to see 14 to 18 obstacles and it to ride between 300 and 350 meters-per-minute (mpm). These fences will have a yellow background with a black number. Stadium: Stadium at this level is meant to be inviting. Fence heights are 2’7”, so this level is slightly lower but comparable to a .90 meter jumper course. Things are starting to get a little bit more serious here. Novice is a great level that is straightforward and inviting for green horses and riders who are ready for the next step. Dressage: Slightly more difficult than beginner novice with similar movements. Comparable to a training level USDF dressage test. Cross Country: At novice, a bit more of a bold ride is favored than compared to beginner novice. There are 16-20 obstacles that should be ridden between 350-400 mpm. Fences can be up to 2’11, or 3’7” for brush fences. Riders can expect to see down banks and fences near or out of the water. You’ll be looking for the white background with black numbers when competing Novice. Stadium: Similar to novice with a couple more fences and a faster meters-per-minute. Fence heights are 2’11” which makes this level comparable to a .90 meter jumper course. You’re moving up in the world of eventing. Training level is the last of the “lower” levels of eventing. It’s also the last level where no qualification is required to compete. Dressage: There is the basic work from the previous levels as well as the addition of trot and canter lengthenings and 15 meter circles. Training level dressage is comparable to the USDF first level dressage tests. Cross Country: Your speed has picked up a bit, as training level speed is between 420 and 470 mpm. You can expect up to 24 obstacles with fences in the water, normandy banks, coffins and even small weldon’s walls. Max height at training level is 3’3” and 3’11” for brush jumps. Here you’ll be looking for a black background with white numbers. Stadium: At training level you can expect to see a liverpool and even a triple combination during your stadium course. With a speed of 325 mpm and a max height of 3’3”, it’s comparable to a 1 meter show jumping course. Now you’re playing with the big dogs. Preliminary level is the first of the “upper” levels in eventing. It is also the first level that you must qualify to compete in. 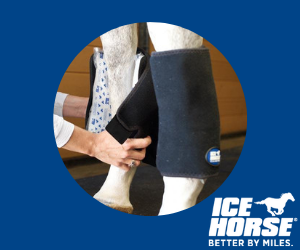 Dressage: Expect to see simple changes through the trot, quarter line serpentines, 10 meter circles, and backing. Preliminary level is comparable to USDF first level tests with some second level movements incorporated. Cross Country: This is where there is a shift in the ability to complete, as preliminary is a large jump in challenge compared to training level. With up to 30 obstacles at a speed of 520 mpm, you can expect an array of technical and difficult questions. Max height on cross country is 3’7” with a max of 4’3” for brush fences. 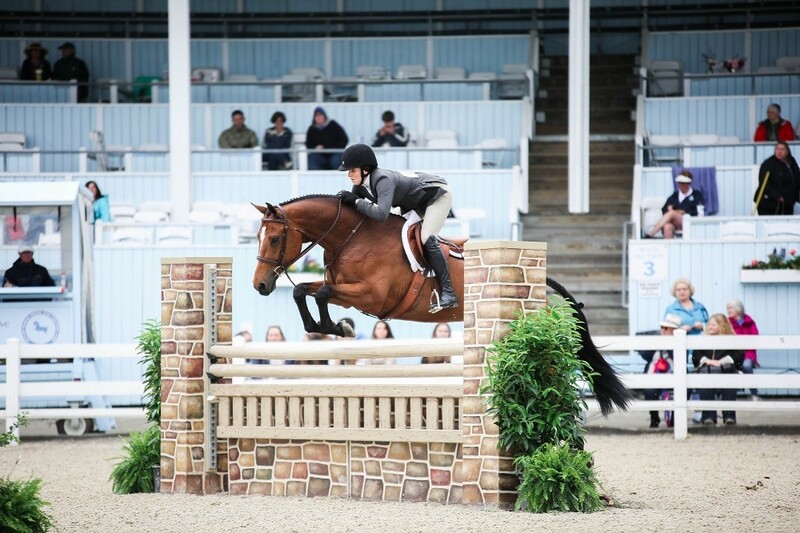 While many riders and horses are capable of jumping a few preliminary level fences or combinations, but stringing everything together for an entire course is difficult. Don’t forget to jump the fences with the green background and white numbers! Stadium: Expect to see training level stadium on steroids. There will be a triple combination and there will be lines on half strides or that force a rider to ride boldly than collect. This is comparable to a 1.10 meter jumper course. While there are a lot of riders that are able to go preliminary, that number severely drops at the intermediate level. There is a lot time and commitment required to maintain a horse at this level, as well as the increased difficulty of the level. There is qualification required for this level as well, for both horse and rider. Dressage: You can expect to see shoulder-ins, travers, as well as lengthened and collected gaits. This is comparable to the USDF second level test. Cross Country: Like the preliminary level, intermediate is a test of technical difficulty on course, with an array of combinations and questions that demand superior skills. Offering up to 34 obstacles at a speed of 550 mpm, the courses are much more demanding on both horse and rider. The max height is 3’9” with brush fences having a max of 4’5”. These fences will have a red background with white numbers. Stadium: At this point, stadium is a test of fitness and precision. With a max height of 3’11” and a speed of 350 mpm, intermediate level stadium is a test of how responsive and fit your horse is after a harder cross country course. This is comparable to a 1.20 meter jumper class. This is the level for the craziest of crazies and is the highest level of U.S. eventing. There are an assortment of qualifications and rules for both horse and rider to be able to compete at this level. 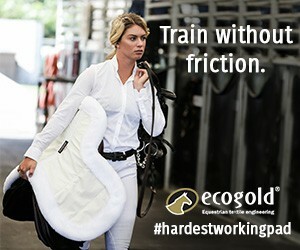 Everything at the advanced level is difficult, labor intensive, and requires a lot of time in the saddle and at the barn. Dressage: Advanced dressage incorporates half-passes, flying changes, canter serpentines, and turns on the haunches. This is the comparable to USDF third level dressage. Cross Country: These fences are huge. With a max of 3’11” and 4’7” for brush fences and a speed of 570 mpm, advanced cross country is no joke. There are very few amateurs at this level, as the requirements needed for horse and rider fitness are strenuous. Look for the blue background with white numbers. Stadium: Like the previous levels, at this level, stadium is a test of fitness and partnership. 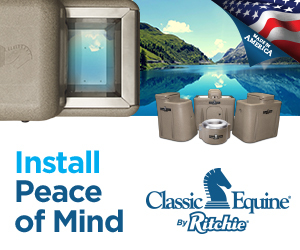 Fences can be up to 4’1” and at 375 mpm. This is comparable to 1.25 meter jumper classes. Please note that all this information can be found in the USEA rulebook. When in doubt, keep your handy dandy rulebook around to make sure you’re keeping it legal. Previous articleRolex FRIDAY Heels Down Meet Up: Meet Top Riders, Get Free Prizes and Join the Big Giveaway! 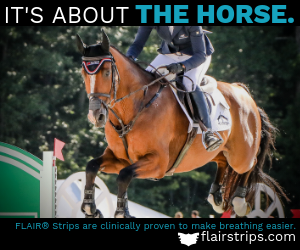 Next articleEventing Explained: Why Are Event Horses So Skinny?